An Iranian leader issued a warning on Monday that it would answer any “unwise moves” against them from Israel with crushing force. The comment comes as tensions between the arch-rival nations continue to ratchet up over the issue of Iranian military presence in Israel’s neighboring nation of Syria. During a meeting with Iranian Revolutionary Guard Corps (IRGC) officials, Secretary of Iran's Expediency Discernment Council Mohsen Rezaei addressed recent comments from Israeli Prime Minister Benjamin Netanyahu on the threat he believes Iran poses to the world. "About Netanyahu's unwise words, I should say that if they carry out the slightest unwise move against Iran, we will level Tel Aviv to the ground," Rezaei said. "[Iran] will not give any opportunity for Netanyahu to flee." Rezaei's comments are a response to Netanyahu's Sunday speech at the Munich Security Conference, the largest regular gathering of security policymakers in the world. During his speech, Netanyahu described Iran as a threat not just to Israel, but the entire world. "Israel will continue to prevent Iran from establishing a permanent military presence in Syria. Israel will continue to act to prevent Iran from establishing another terror base," Netanyahu declared. "Don't test Israel's resolve." 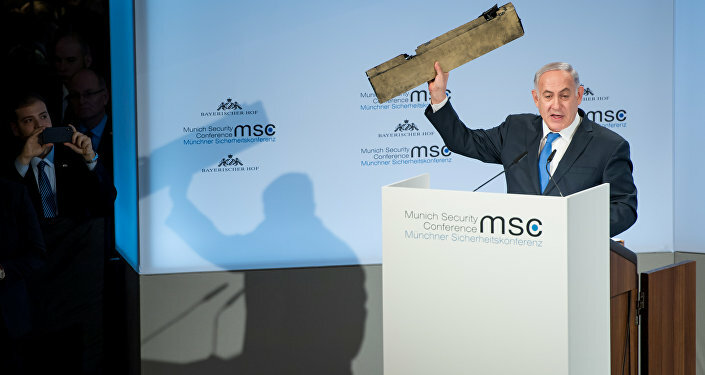 Known for his affection for props in speeches, Netanyahu brought out a piece of a drone that Israel shot down. Tel Aviv claimed that the drone, shot down on February 10 over Israeli airspace, had come from Syria and was Iranian in origin, a claim that Tehran denied. "Do you recognize this?" 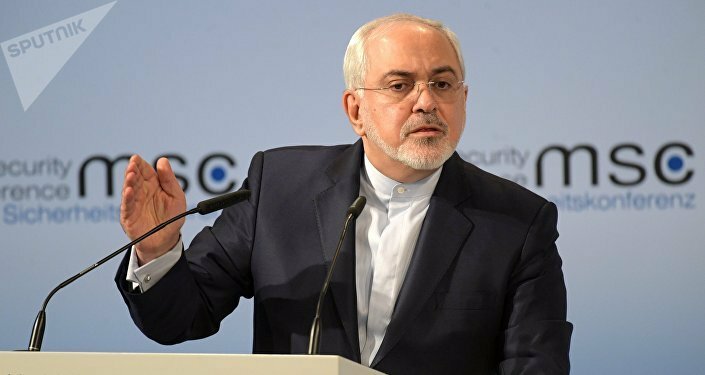 he asked Iran's Foreign Minister Mohammad Javad Zarif. "You should. It's yours." In his own speech, Zarif mocked Netanyahu's demonstration as a "cartoonish circus." He reiterated Iran's claim that they are providing advisory services to the Syrian government and not attempting to establish a permanent military presence. The drone shootdown was one of a dozen Israeli attacks on Iranian and Syrian positions close to the de facto Israel-Syria border on February 1. The Syrian military returned fire, downing an Israeli F-16, the first Syrian shootdown of an Israeli warplane in decades, although both pilots were unharmed. Israel has in the past claimed that Iran has spent $35 billion to create a large, permanent military force in Syria comprised of pro-Iran militias such as Hezbollah and IRGC paramilitary. Tehran has steadfastly denied that their military assets in Syria are there to stay. The Expediency Discernment Council is an administrative assembly appointed by Iran's Supreme Leader Ayatollah Ali Khamenei with the purpose of moderating between Iran's democratically elected parliament and the Guardian Council, a council of clerics also appointed by the Supreme Leader. As the council's secretary and a former higher-up in the IRGC, Rezaei is one of the more influential conservative politicians in Iran.